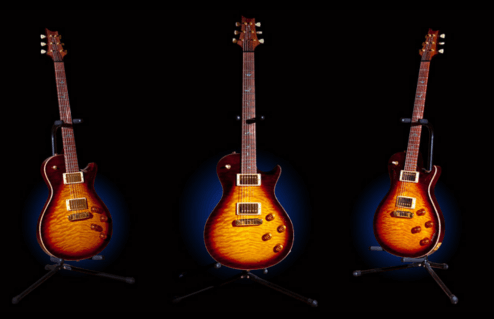 Description: Paul Reed Smith is one of the great new guitar artists of our time. After making numerous One Off guitars for various musicians, he started his own company in 1985. Current artists, such as Carlos Santana and Linkin Park, use nothing but Paul Reed Smith guitars. This particular guitar is an Artist Edition and has gold hardware throughout. This guitar plays like an absolute dream and in my opinion is better than any Stratocaster or Gibson Les Paul out there.